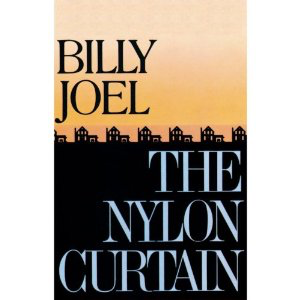 After two critically-acclaimed albums in “The Stranger” and “52nd Street”, the somewhat patchy “Glass Houses” in 1980 began something of a fallow period for Billy Joel. This album, from 1982, was, in my opinion, his most inaccessible, introspective album. Over 35 years on, and I still can’t really get into it. That is also acknowledging that it contains two bona fide Joel classics in “Allentown”, about the declining US steel industry, and the monumental, evocative “Goodnight Saigon”, about the horrors of the Vietnam War. This track sits completely at variance with the rest of the album, however. I am really not sure what it is doing there. I find the other tracks very up and down, to be honest. “Laura” is a cynical, almost miserable John Lennon-esque tirade against a former lover; “Pressure” is a lot better, a synthesiser dominated (but in a good way) pounding, insistent number. “She’s Right On Time” is a Beatles-ish (certainly the chorus) acceptable number, but it is nowhere near the standard of earlier material. Not at all. Nevertheless, I quite like it. “A Room Of Our Own” just seems a lazy rocker. Again, it sounds like filler from a mid 1970s Wings album, which people would forgive because it was Paul McCartney. The middle bit (about a tin of sardines) is such a Lennon plagiarism, both musically and lyrically it is untrue. Then there is the “Run For Your Life” similarity. In trying to sound like Lennon and McCartney, Billy just seems to have lost his mojo here. Some people seem quite happy with his channelling his “inner Beatles”, however, it must be said. Why, he even sported a McCartney "Let It Be" style beard too. “Surprises” just gets nowhere for me. Again, there are tinges of The Beatles in it. I can’t really explain why this album just can't reach me. I am at a loss really. 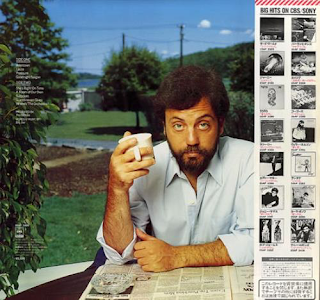 I own every Billy Joel album and can listen to them all every now and again and enjoy them. Not this one. I will continue to plough through it for the sake of this review. “Scandinavian Skies” is Joel’s “Revolution 9” (comparatively - considering his previous material). It is a pretentious, discordant mishmash of God knows what. Bizarre lyrics based loosely around a tour to Sweden. Lennon impersonations, “Walrus” orchestration, funny background noises, classical stylings. My oh my, it is truly awful. Unlistenable (at times). I realise, of course, that this is just my personal opinion. Some people love this and feel it is one of his most adventurous, ground-breaking compositions. Probably the best thing to do is download it and see what you think. Many would completely disagree with me. Funnily enough, I find sometimes it strangely compelling and find myself listening to it every now and again. Maybe that is its strength. Therein is the quandary within this album. Even some pleasant saxophone cannot save the moribund “Where’s The Orchestra”. Sorry, this album just doesn't do it for me. Some see it as Joel's “Sgt Pepper”. Joel himself says it is the best thing he ever did. Who am I to argue? Give it a chance, I guess. Every couple of years I do. I refuse to completely write it off. Maybe someday the penny will drop. Oh, and the remastered sound is truly fantastic. Big, full and punchy. “Pressure” sounds particularly impressive.